The national team to represent Zambia in the historical draughts-64 championship slated for July 22-27 has finally been selected through a tournament which started on Thursday 19 to Sunday 22 May at Heroes Lodge in Lusaka. 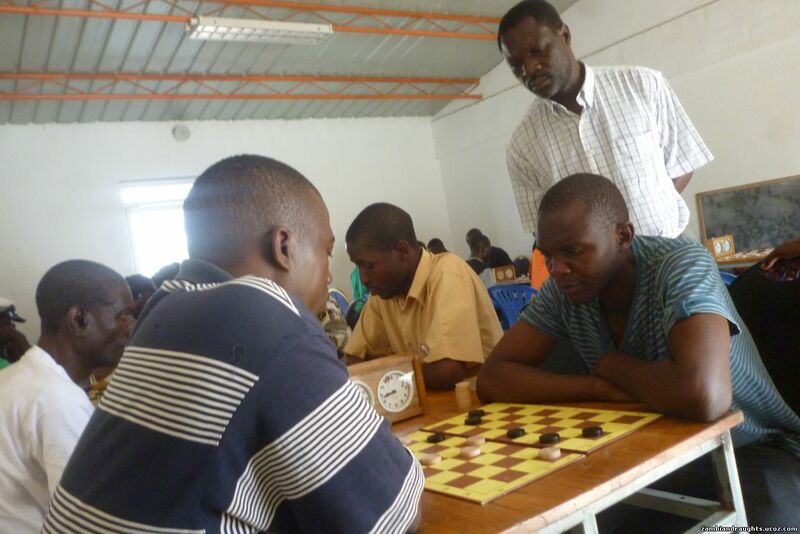 Kennedy Phiri, who is believed by many Lusaka draughts enthusiats as the most rated draughts player in Zambia won the tournament with unbeaten record amassing a total of 20 points before locking horns with Mwaaza Sakala who had accumulated 18 points in the finals. Kennedy defeated Mwaaza in the finals 1-0-2 to win the tournament. 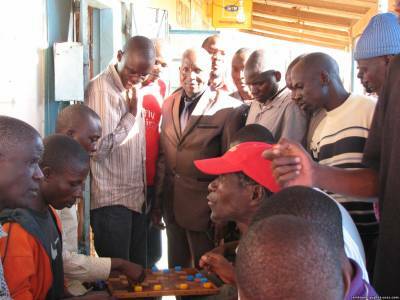 Richard Mwamba took the third place after defeating Obed Muluba. Below is the final standing of the selected top 10 after all the stages. 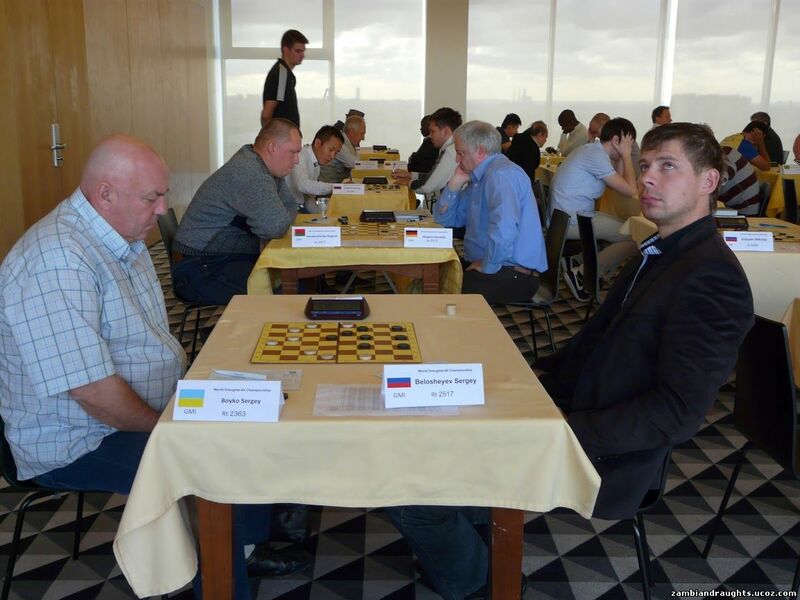 great opportunity to show your skills on the draughtsboard and represent your country! us to build this great sport in our nation! Heroes Lodge as well, for the reduced price of K 100.- per night based on sharing. 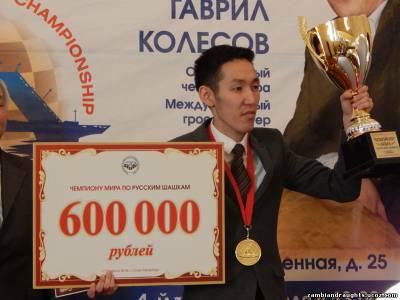 Belosheyev Sergey of Russia won classical program among men. Elena Scovitina won classical program in the women's category. 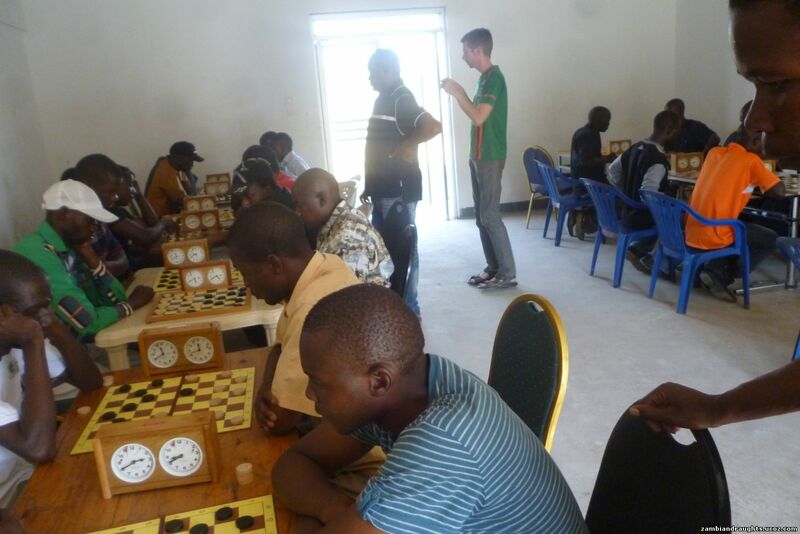 All participants in the classical program were awarded with diplomas and most interestingly Enock Makoka Banda of Malawi commonly known as Enonge in draughts fraternity received an award as the African best player ! Others who received such an awards were Marcelo Francisco of Brazil and Samandar Kalanov of Uzbekistan. Mwaaza "Saks" Sakala - 2014 Draughts 64 Zambian Champion ! The Zambia Draughts Federation staged a National Draughts-64 Open Tournament at Olympic Youth Development Centre (OYDC) which started on the Independence day Friday 24th October and ended on 25th October 2014. Mwaaza "Saks" Sakala won the tournament with 14 points, seconded by Albert Shamuwele with 12 points and Lukanga "Dox" Mambwe came third with 11 points. The Provincial league which is participated by 12 clubs within Lusaka started last week on the 15th June, 2014. 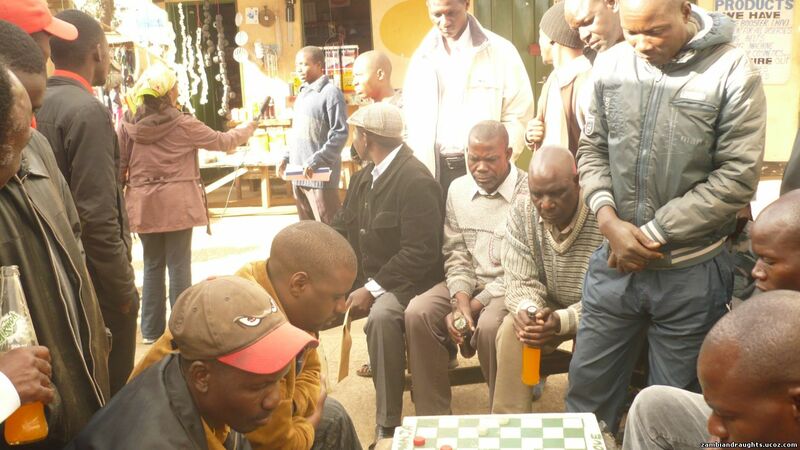 Below you see a photo showing Chilenje players playing against Kanayama "B". The Zambia Draughts Federation Vice President Bornwell Mweemba and Tournament Director Mwaaza Sakala recently visited Muchinga and Northern Province mobilizing players in readiness for the provincial tournaments.